Curtis P. Langlotz, MD, PhD serves as Professor of Radiology and Biomedical Informatics and Associate Chair for Information Systems in the Department of Radiology at Stanford University and as a Medical Informatics Director at Stanford Health Care. After receiving an A.B. in Human Biology from Stanford University in 1981, Dr. Langlotz remained at Stanford to earn a master’s degree in computer science–the first class of students admitted to the newly formed artificial intelligence track. His Master’s work developed one of the first software applications that critiqued a physician’s proposed therapy plan, an early form of clinical decision support. He then matriculated as a medical student and a doctoral student in a new Biomedical Informatics graduate program established at Stanford by Dr. Edward H. (Ted) Shortliffe. For his doctoral dissertation, he conceived and implemented a new artificial intelligence method that enables computers to explain Bayesian decision models. In 1989, Dr. Langlotz moved to the University of Pennsylvania for his radiology training. At Penn, he worked with Dr. J. Sanford (Sandy) Schwartz, then the Director of the Leonard Davis Institute of Health Economics, on applying decision analytic methods to imaging technology assessment. Following his radiology training, he joined the Penn faculty, established the first health services research unit in a radiology department, and developed a research program in radiology comparative effectiveness research. His research focused on modeling the cost-effectiveness of diagnostic imaging technologies, including the first comprehensive economic analysis of picture archiving and communication system (PACS). In 1992, he founded Access Radiology, a PACS company that became a part of Merge Healthcare, acquired by IBM in 2015. Dr. Langlotz left Penn in 1998 to serve as Special Assistant to the Director of the newly formed Cancer Imaging Program at the National Cancer Institute (NCI) and to found eDictation, Inc, a vendor of radiology reporting systems that combined speech recognition and structured data capture. He also served as founding chair of the Radiology Lexicon Steering Committee of the Radiological Society of North America (RSNA), where he led the development of RadLex™, a widely used terminology to represent information in radiology reports. After eDictation ceased operations in 2004, Dr. Langlotz served on the faculty of the University of Pennsylvania, dividing his time among information technology administration, clinical radiology, and his NIH-funded biomedical informatics research program. He was responsible for the strategic technical direction of a filmless, paperless radiology department that interpreted over 1,000,000 exams annually at 3 hospitals and associated community practices. He led the development of a unified enterprise-wide imaging platform to enable any Penn radiologist to read any Penn imaging study from any location, including at home. This clinical imaging platform also served as a laboratory and test bed for his NIH-funded biomedical informatics research program. His research focused on the development and evaluation of standard medical vocabularies, image reporting systems, and decision support tools to enhance the quality of radiology practice. During that time, he led a national consensus process to develop of a library of standard templates for radiology reports, and has authored an international standard (PDF) for the format of radiology report templates. While at Penn, Dr. Langlotz and three of his colleagues founded Montage Healthcare Solutions, a provider of natural language processing and business analytics software for radiology practices, acquired by Nuance Communications in 2016. 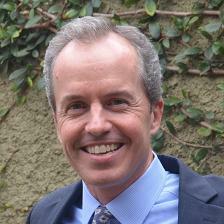 After 25 years affiliated with the University of Pennsylvania, Dr. Langlotz returned to his roots at Stanford University in 2014. His Stanford laboratory develops novel machine learning and natural language processing algorithms to reduce diagnostic errors by providing intelligent assistance to radiologists, clinicians, patients, and other consumers of the radiology report.